It costs approximately £1,000 every week to keep Brinsley Animal Rescue running, this covers our food, bedding, veterinary costs and expenditure for housing etc. As we are all volunteers and the premises are donated free of charge, our funding is spent directly on animals. Funding is very essential to us and we are currently struggling financially. Many of our animals are expensive to keep and are difficult to re-home. We receive absolutely no support other than from public donations and so this is vital to our survival. If you can help us financially in any way we would be very extremely grateful. You can do this by sending us a one off payment or regular financial support. You can pay also pay online directly to us via Charities Trust or PayPal, however we do not know who has made a donation, so we would appreciate an email so that we can thank you for your generosity. Use your credit or debit card, or bank transfer using PayPal. Please note that we are charged 3.5% by Paypal. To maximise your donation to us when paying by PayPal, please select the PERSONAL tab and select GIFT, otherwise PayPal will charge us 3.5% on the transaction. Fill out the standing order form and send to your bank. You can set the amount you wish to donate, how often and stop it when you want, you will be in complete control of your donations. 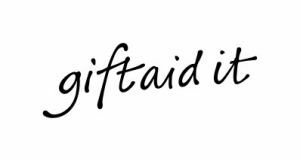 As we are a Charity and registered with the Inland revenue for tax purposes, we can claim tax back through the Gift Aid scheme. When you make a donation to us, please fill out the gift aid form, you will only need to fill this out once. To find out more about Gift Aid, click on the logo on the right.